a joy to have a "normal"
Your picture is amazingly beautiful and your words supports it perfectly. ~uh oh...ear infection...yuck...and they hurt so bad...sending healing wishes quickly for it to go away!!! Pesky ear! Hope it gets better soon. 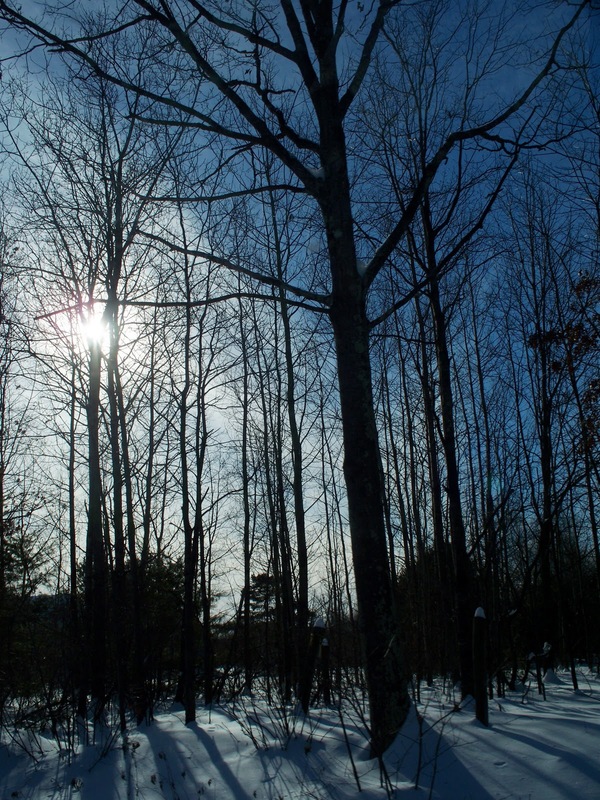 Tall trees, snow and sunshine ....how beautiful! blessing and rest, tender peace. I like that you shot toward the sun, and that you feel loved. Blessings today! hope your ear feels well soon! What a gorgeous photo, Laura. I love how you always seek the bright in the dark. And I hope your ear infection clears up quickly for you. beautiful winter shot. I can feel the crispness of the air in those shadows and winter light. I hop you feel better, soon! 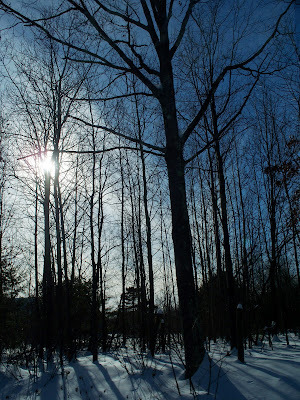 I love bare branches silhouetted against the sky, and the sun in this photo makes it extra special. Lovely shot Laura. So sorry to hear about your ear infection, those are nasty! I love all poetry , and when it's shaped it appeals to several senses at the same time. What a lovely view you got on your way to the clinic! I hope you ear feels better soon. I haven't had an ear infection since I was very little, but I remember trying to lean my ear against the metal frame of my bed to get the pain to ease up the last time I had one...and I was no more than five at the time and I still remember how much it hurt! It's such a beautiful photo and I just adore the way you've worked your words! I love this post! What a creative way of showing us what you are experiencing.Feel better, Laura. Love your shadow shot. Hope you feel better soon. Such a beautiful moody, yet peaceful photo. perfection! Lovely image. I enjoy looking at your work and as my baby sis lives in Barrington NH I get to see perhaps her weather through your photos. you are cradled, LOved. each moment of LOve--string them together. i send you another moment of LOve, laura. This is beautiful in every way - thank you for sharing!